The Kennedy family, Palm Beach, Fla., April 1963, Cecil Stoughton, WHP, JFK Library. It is difficult to believe that it has been fifty-five years since that fateful day in Dallas, Texas, when President John F. Kennedy was assassinated. On this Thanksgiving Day, I reflect on this great man. I never had the honor of meeting President Kennedy. By the time I was born, my father had been transferred from the White House Detail (presidential protection) to the vice presidential protective detail. Although, intermittently, he still served on the presidential detail when needed. 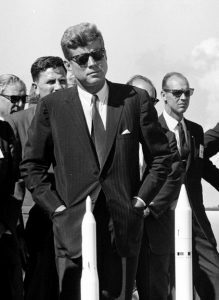 Inspection tour of NASA, Cape Canaveral Fla., Sept. 11, 1962, Robert Knudsen, WHP, JFK Library. My brother, Mark, however, did meet President Kennedy—a memory he cherishes to this day. Mark Youngblood, Vienna, VA, Spring 1962, RWY Collection. 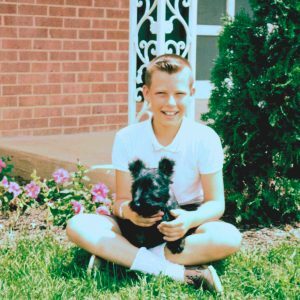 Mark met President Kennedy during the summer of 1962 when Mark was almost twelve-years-old. He had ridden to the capital with our father from our home in Vienna, Virginia, to explore the Smithsonian museums while our father was at work. That evening, Mark had walked to the Executive Office to meet our father for the return trip home. 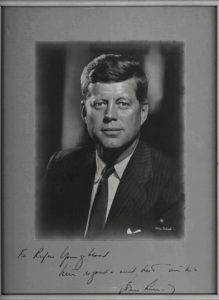 As they were leaving, our father received a call that he was needed at the Mayflower Hotel where President Kennedy was scheduled to address a group. Mark accompanied our father to the hotel. Dad stationed him just inside the ballroom where the president was to speak giving Mark the mandate to be “still and quiet.” Standing against the wall near the entrance, Mark attempted to be incognito—as a good agent would be. Flashing his charismatic smile, President Kennedy politely said, “Nice to meet you, Mark. I think very highly of your father.” Then with a nod, he strolled to the podium as his audience eagerly awaited. 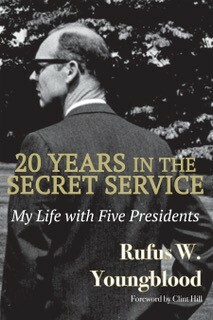 President Kennedy’s politeness towards my brother and his kind words about our father are in keeping with accounts of the president’s character as described by other Secret Service agents. 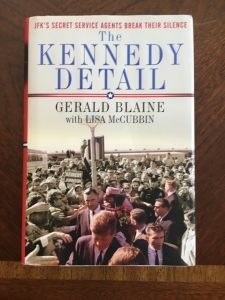 In his book, The Kennedy Detail, former Agent Jerry Blaine documents several examples of President Kennedy’s friendly rapport with his agents. Blaine reveals how the president made it a point to learn the agents’ names and often joked with them. Blaine also cites an occasion when a concerned President-elect Kennedy provided several of his own short-sleeved shirts to his wool-suited agents (unexpectantly transferred from a colder climate) who were standing guard in the sweltering Florida sun. The assassination of President Kennedy deeply saddened my father. Throughout that dreadful day in Dallas—from shielding Vice President Johnson in the motorcade, to waiting in vigil at Parkland Hospital, and traveling back to Washington on Air Force One —my father had maintained his composure and professionalism. When he, at last, arrived home to my mother, he let his guard down and cried. My mother later confided to me that she had never seen him so upset. The tragic death of this young president affected millions of people across the world. My siblings recall the utter sadness of the funeral procession. 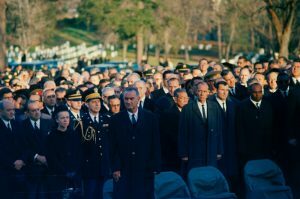 With other mourners, we stood in the cold with our mother near the White House driveway as the horse-drawn caisson bearing the president’s casket rolled by. The forlorn shrill of the bagpipes blended with the clatter of horses’ hooves. Then the procession led by Jackie Kennedy followed, and our stoic-looking father, assigned to protect President Johnson, walked past us. State Funeral of President Kennedy, November 25, 1963. Robert Knudsen. WHP, JFK Library. 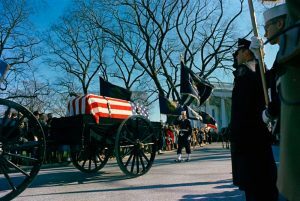 Burial at Arlington National Cemetery, Cecil Stoughton, WHP, JFK Library. Now, fifty-five years later, this tragic day, November 22, falls on Thanksgiving Day. 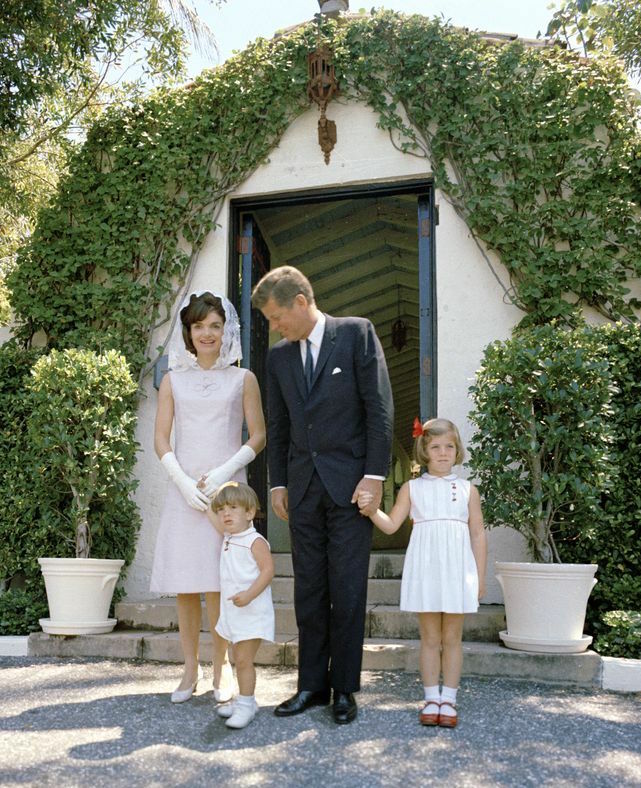 As I reflect on the life of John Fitzgerald Kennedy, images of the eloquent president with his beautiful family and of the commander-in-chief flanked by happy children come to mind. I envision the man with that pleasant smile and intelligent sense of humor who was so friendly to my brother and polite to his Secret Service agents, and who was respected and loved by so many. 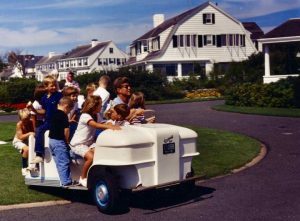 Young Kennedys with JFK in Hyannis Port, Maine. Sept. 1962, Knudsen, WHP, JFK Library. Gary Goettling, Georgia Tech Alumni Magazine, Spring 1992. Blaine, Gerald and Lisa McCubbin, The Kennedy Detail: JFK’s Secret Service Agents Break Their Silence, New York: Gallery Books, 2010. Thank you for sharing these memories of your brother Mark meeting our beloved President. Those of us who had the pleasure of meeting the President will never forget the exhilarating experience. So too, unfortunately, we will never forget the exact time and place we were when we heard the terrible news of President Kennedy’s assassination. Our hearts remain heavy 55 years later. Thank you. Beautifully written, Merlin. I appreciate your brilliant telling of my meeting “Jack,” Mr. President Kennedy. “Beloved,” “charismatic,” . . . highly intelligent, strong, PT-109 heroic, charming, and determined, are just some of the words that come to mind/memories of this extraordinary, superlative president for the free world, during a very bitter, protracted cold war. President Kennedy was a man for all ages, and his tragic murder a severe loss to the future of the nation he held so dear. When he was gone, we all realized we really had been, if you will, in Camelot. It was as if the “last great hope” that our democratic, representative, republic might be for the world, has been dashed. JFK was another Franklin, Jefferson, Adams, Jackson, Lincoln, Wilson, FDR, Truman, and Ike, just to name some of our remarkable men in power. I have yet to see a man with more hair than John Kennedy had, and it was such a pleasing autumn color. Besides my father, President Kennedy was definitely the most handsome man I’ve ever met. My love, and prayers for all his family’s well-being are constant, in my empathy for them, after his death. I like to think how thankful we are to have been in his care, even though it was for only ~=1,000 days. I’m so glad Dad was called in that day so that you had the opportunity to meet him. That brief encounter left an everlasting impression. I appreciate you sharing this story.